SAVANNAH, Ga. – Protesters seeking to carry signs in an area being secured for Vice President Mike Pence to participate in the South’s largest St. Patrick’s Day parade won a brisk free speech fight Friday as city officials in Savannah backed off prohibiting signs and posters at the event. City officials reversed course and announced signs would be allowed immediately after the American Civil Liberties Union filed a federal lawsuit Friday morning against City Hall, saying a blanket sign ban during Pence’s visit Saturday would violate the speech rights of parade goers. 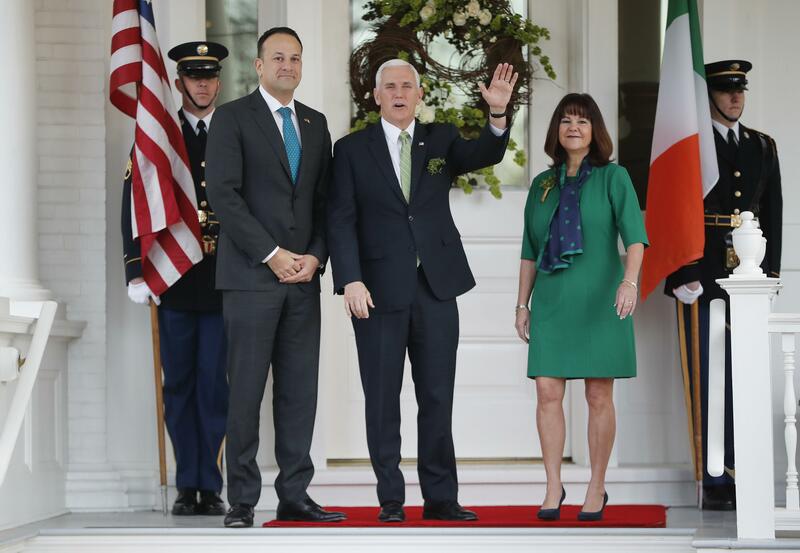 Pence is expected to join 500,000 or more people Saturday celebrating St. Patrick’s Day in one of the South’s biggest street parties after Mardi Gras in New Orleans. Security plans for Pence include requiring parade goers to pass through metal detectors in an area covering a dozen square blocks in the heart of Savannah’s downtown historic district. People entering the secure zone won’t be allowed to bring coolers, folding chairs or backpacks. Posters and signs were included on a list of 29 prohibited items distributed by city officials at a news conference Wednesday. Savannah city spokeswoman Michelle Gavin told reporters the list was based on security measures the Secret Service has imposed at similar high-profile events such as the presidential inauguration. City officials said in a news release Friday that “signs on paper, fabric, or poster board are allowed in the enhanced security zone” as long as they aren’t mounted on sticks and don’t exceed 20 feet-by-3 feet. Gavin said at a Friday news conference that signs ended up on the banned items list because of confusion stemming from differing restrictions the Secret Service requires for different types of events. Savannah Police Chief Mark Revenew said authorities would honor the First Amendment rights of parade spectators. “It’s a free country, everyone has a right to an opinion and we’re going to respect that,” Revenew said. The ACLU had asked a federal judge Friday for an injunction barring authorities from carrying out the ban. The group sued in U.S. District Court in Savannah on behalf of four people seeking to protest during Pence’s visit. “We think Savannah should spend more time protecting the rights of its citizens than protecting the feelings of the vice president,” said Sean Young, legal director for the ACLU of Georgia. The area being secured for Pence’s visit includes only a small portion of the 2.25-mile parade route that winds through downtown Savannah. But it’s a popular area with spectators that includes City Hall and two of the city’s oak-shaded public squares. Parade spectators on St. Patrick’s Day typically watch from the sidewalks or gather in the park-like squares along the route – all of which are public property. Authorities planned to begin letting people into the secured zone at 7 a.m. Saturday. Gavin told reporters security restrictions should be lifted by 1 p.m. after Pence leaves Savannah. Published: March 16, 2018, 10:02 a.m. Updated: March 16, 2018, 1:29 p.m.